A capability which requires expertise in understanding plastics materials. 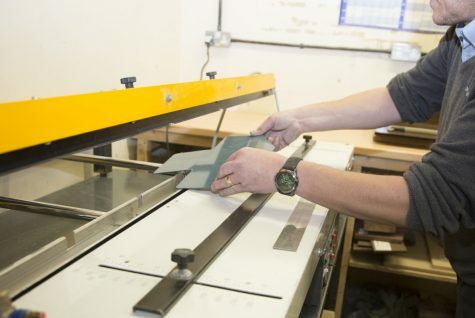 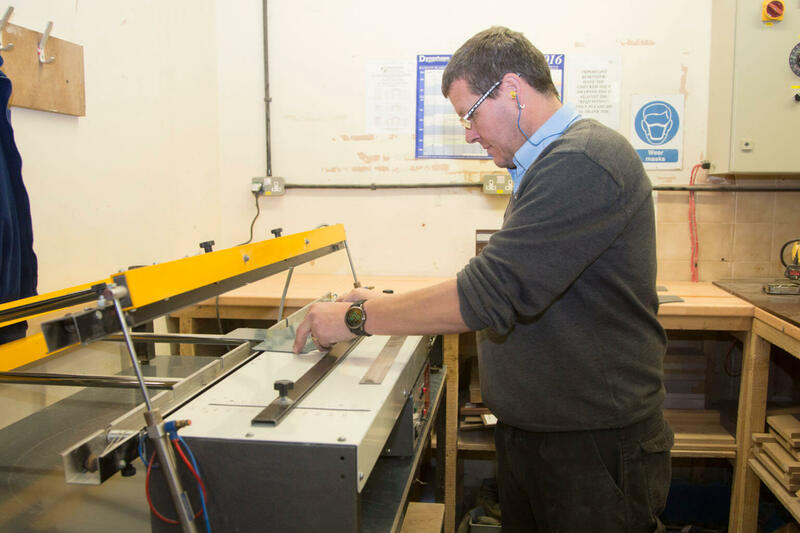 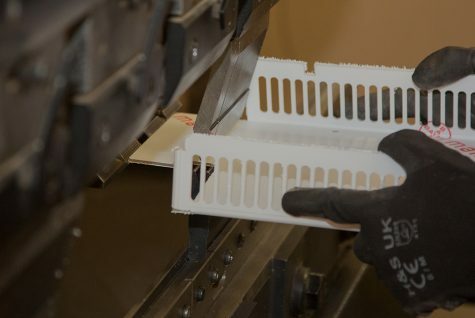 With our CNC controlled folding press, economic but precise forms can be achieved, providing the customer with a time saving cost reduction option. 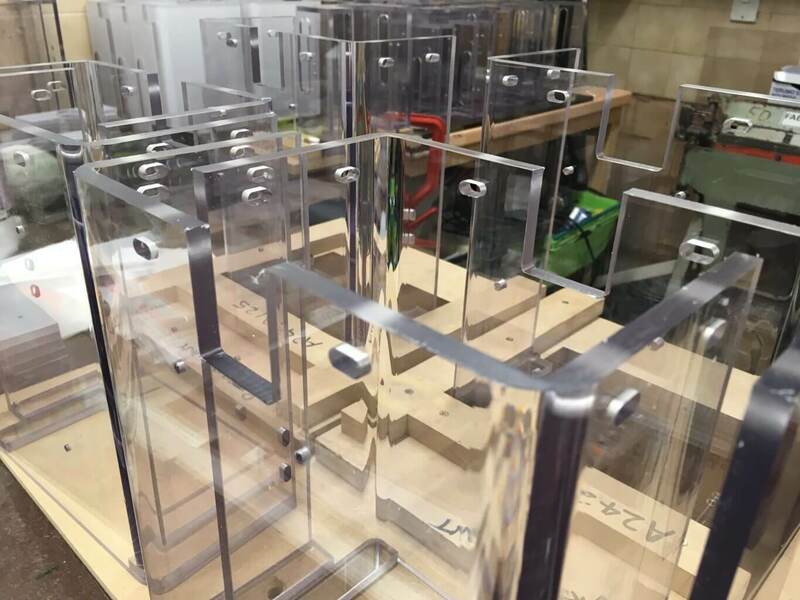 This combined with our CNC Routing capabilities also offers the customer complex shapes formed with great accuracy. Complex Guards, High Voltage Shrouds, Intricate Covers are all included in Sentinels capabilities. 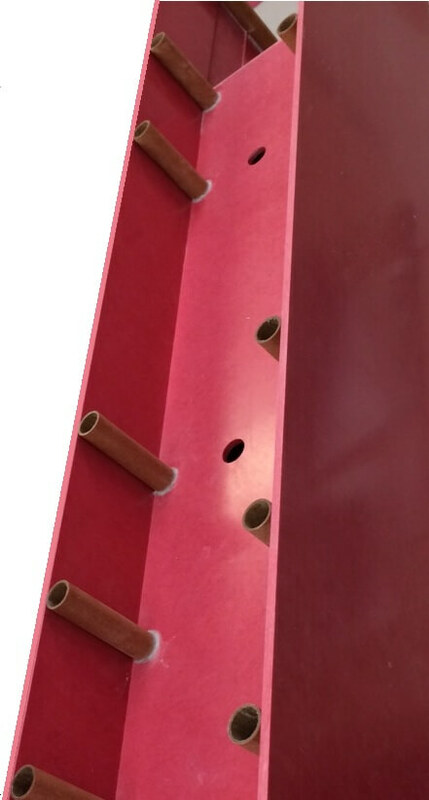 Necessary when the material to be formed does not allow for cold bending i.e. 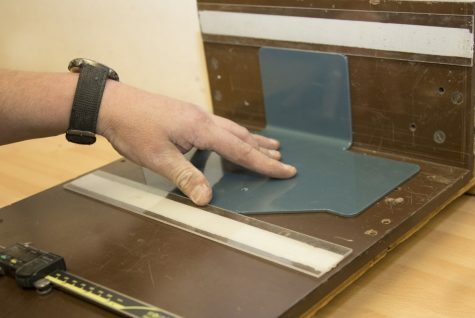 Acrylics, or when a complicated form requires heat for the required shape to be achieved. 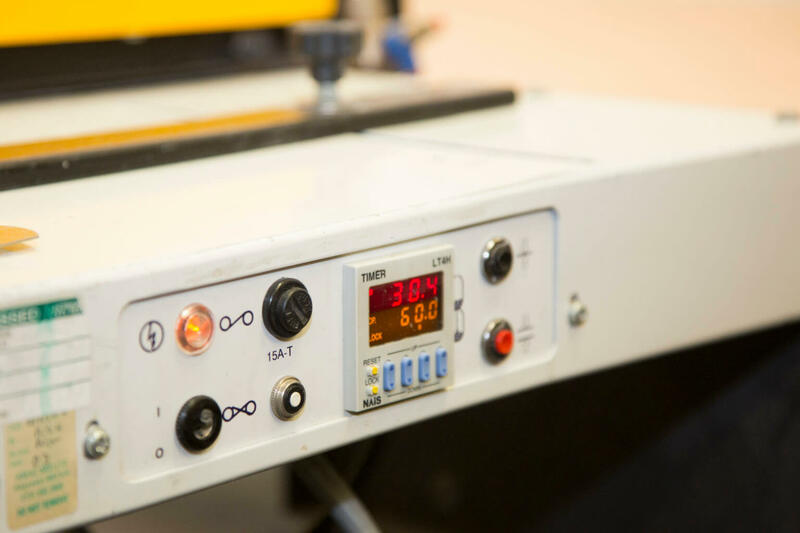 The process involves passing an electric current through a conductive wire creating a low heat. 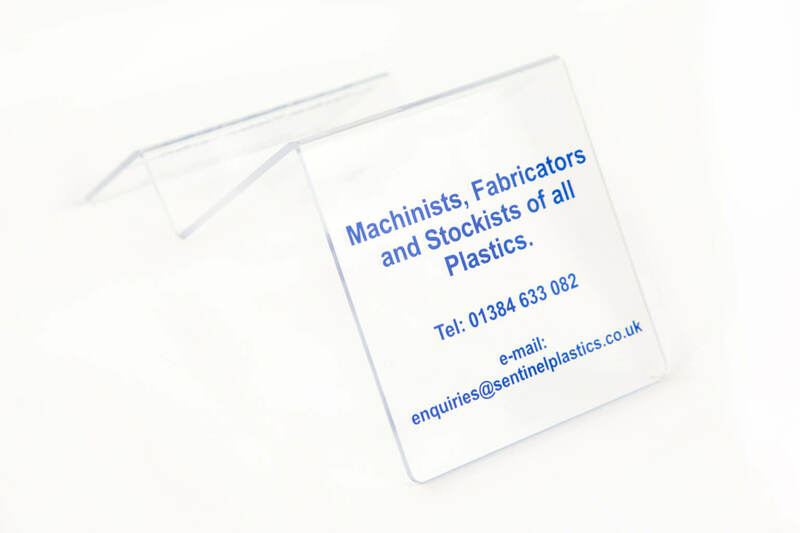 The plastic to be formed is then placed over the wire at the precise place where the bend is required. 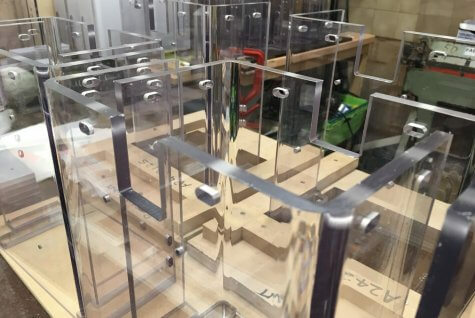 Finally the parts are folded and allowed to settle in cooling jigs, until rigid enough to be removed. 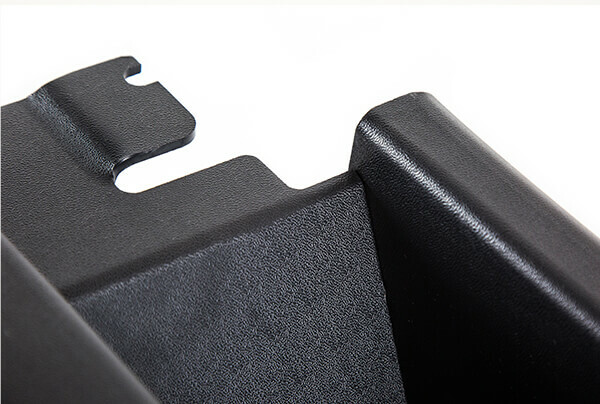 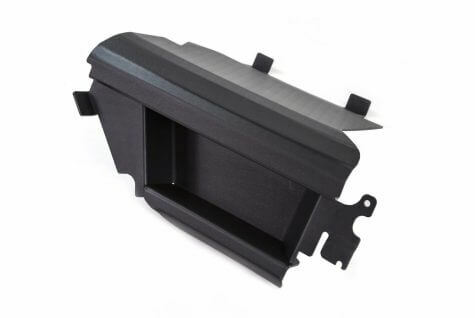 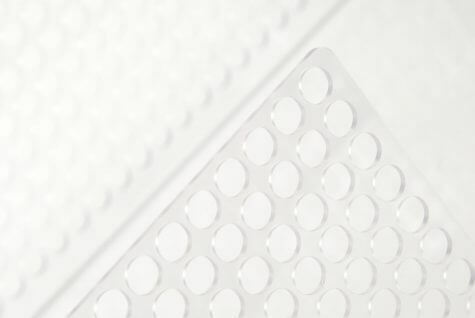 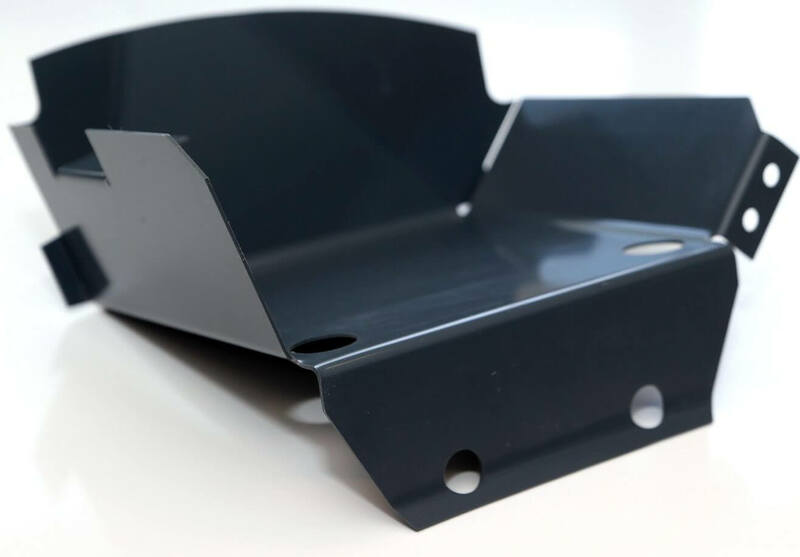 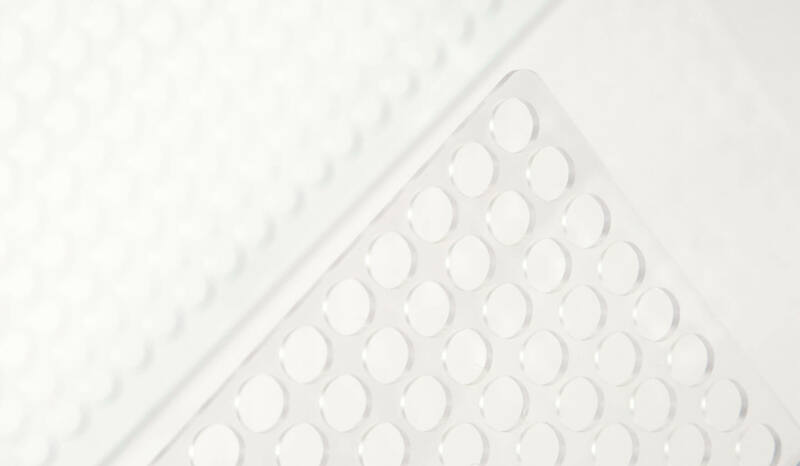 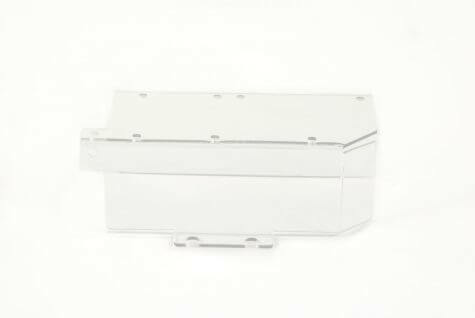 Materials which require Heat Forming processes are Perspex, Acrylic, PETG, Polycarbonates, PVC, Polypropylene, ABS, Styrene, HIPS, Polyester, Mylar. 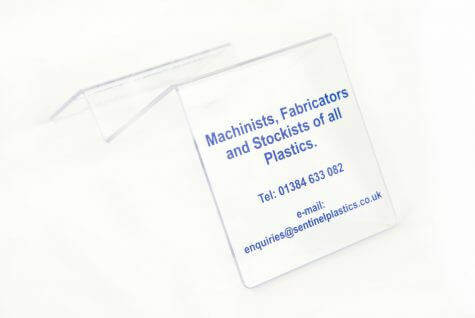 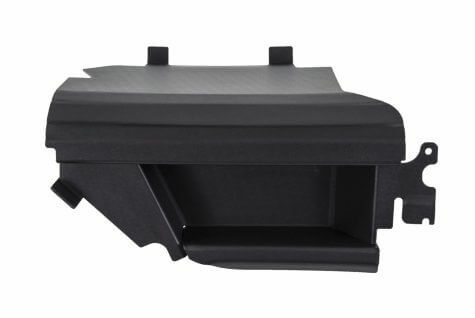 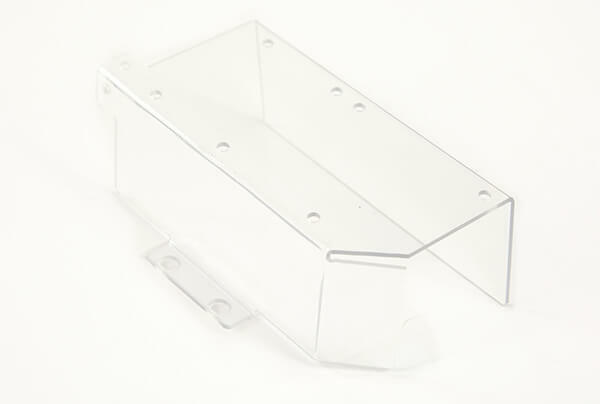 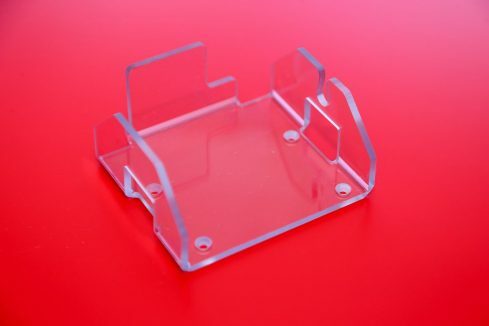 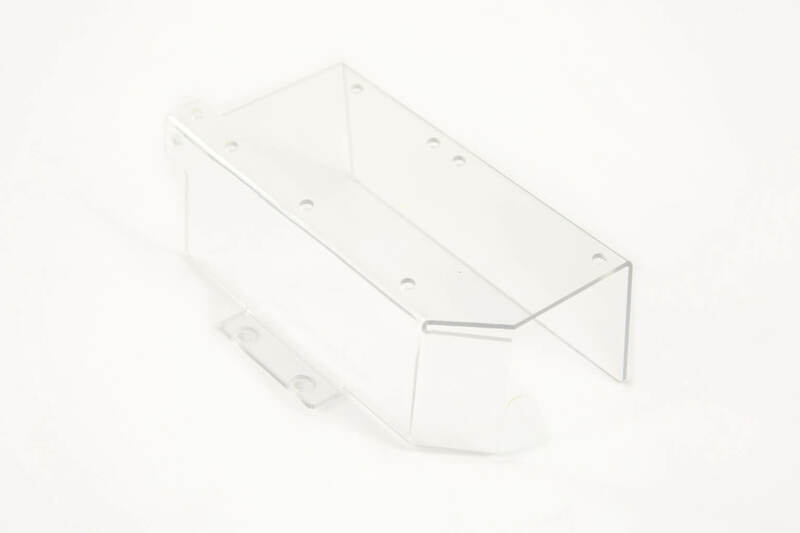 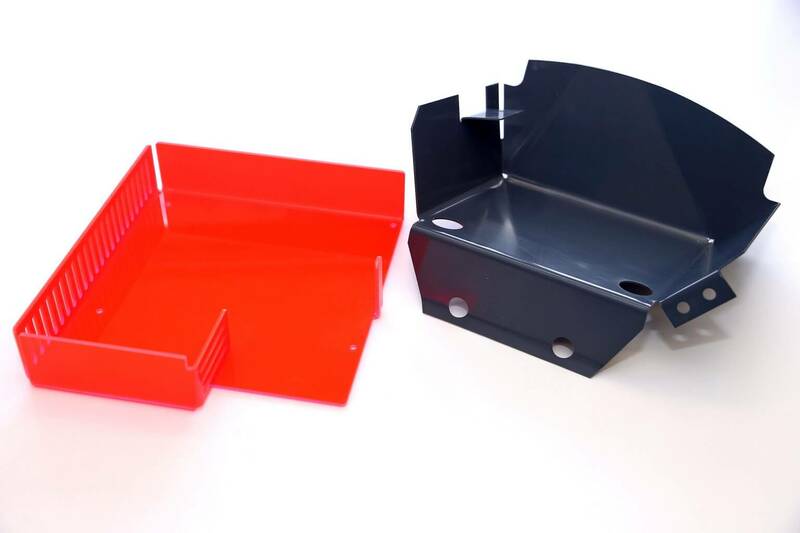 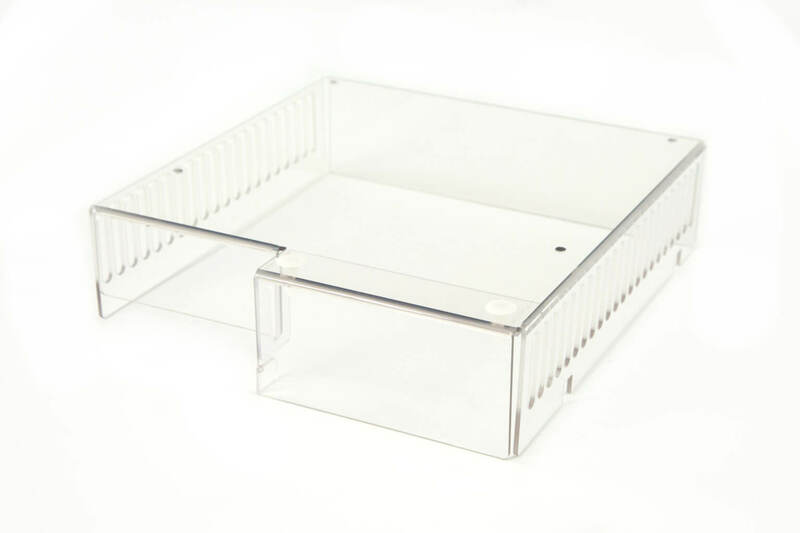 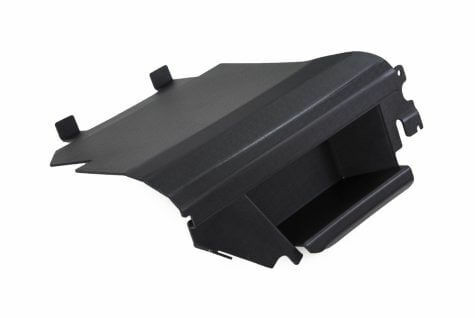 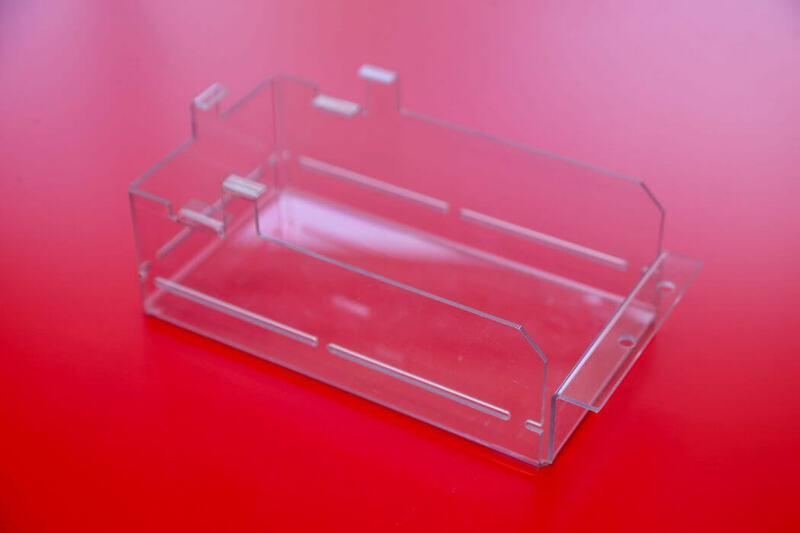 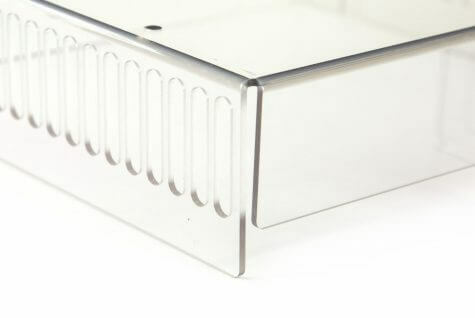 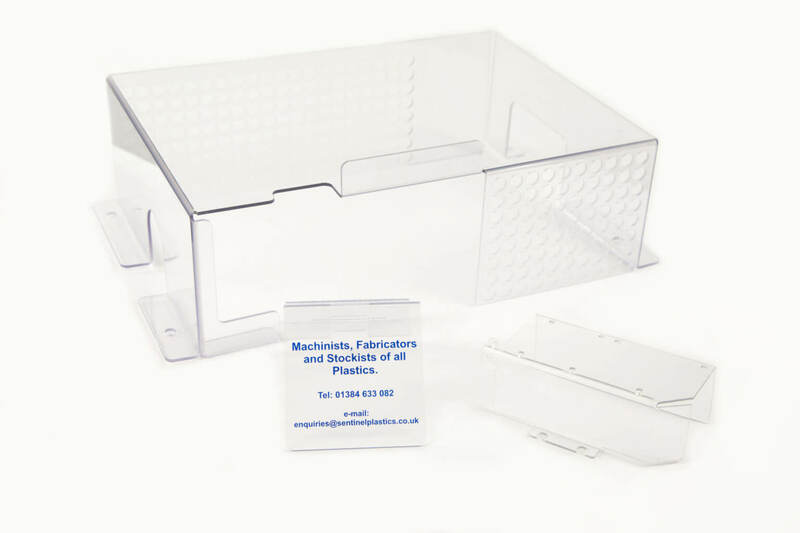 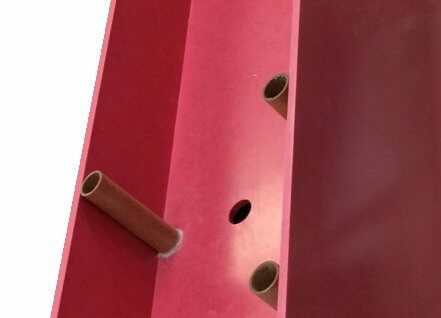 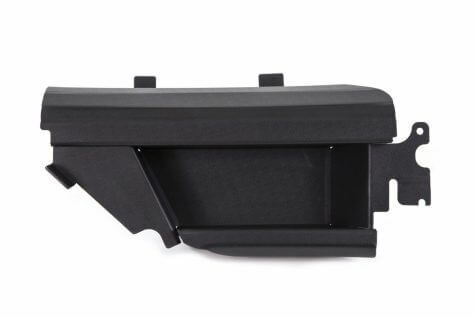 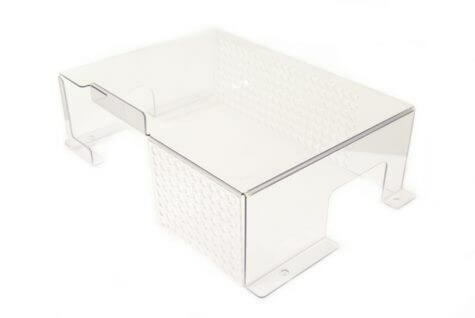 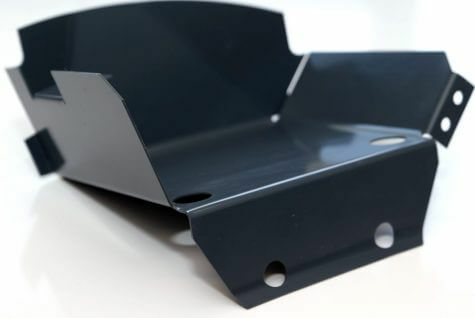 Parts Include Acrylic Display Shelves, Leaflet holders, Guards, Shields, Barriers, Show Cases, Point of sale.